Cyprus is an island in the Mediterranean Sea off the southern Turkish coast. At the moment, it's divided in two: the Republic of Cyprus to the south (member of the European Union) and the Turkish Republic of Northern Cyprus (TRNC) to the north (recognised by Turkey and almost nobody else). It is one of the most religious countries in the EU. It is also deeply racist, sexist, and homophobic. Cyprus is the current disaster in the European sovereign debt crisis; one has to wonder how it even got into the euro with an economy almost entirely consisting of Russian oligarchs who'd rather want to store their cash in a much warmer place than Switzerland. This division happened in a failed Greek attempt to establish a puppet state in Cyprus, using ethnic clashes between Turks and Greeks. Turkey invaded Cyprus (using the rights given to them by the Treaty of Guarantee , signed between Cyprus, Greece, Turkey and erstwhile colonial power the United Kingdom) to stop this attempt and successfully overthrew the puppet state, which actually caused the end of the junta in Greece (yay!). Yet they kind of refused (and still refuse) to leave when they were done, citing "security reasons" (boo!). 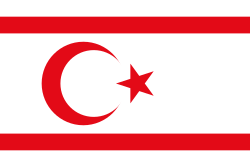 Northern Cyprus has been founded under the Turkish invasion, despite strong opposition by Britain and the whole UN. Turkish government recognised them immediately and sent (mostly under-educated and unqualified) people there as workforce and deliberately modifying the ethnic structure for their favour. These policies caused strong anti-Turkish sentiment in the whole Cyprus (even in the North, despite people there being Turkish). Nowadays, Northern Cyprus has became the Turkish version of Las Vegas, with all that gambling and prostitution. It is also a tax haven and a place for criminals to escape from Turkish laws, all thanks to lack of legal infrastructure. Additionally, a UN-controlled buffer zone separates the two, and the United Kingdom retains two bases on the island. There's a whole town called Varosia or Maraş in the buffer zone, which used to be a very popular tourist destination, today standing totally desolated and forbidden to enter (unless you are a Turkish soldier), film or even photograph. ↑ See page 204 of this Eurobarometer biotechnology report. This page was last modified on 20 March 2018, at 05:53.